will now be available in the garage in Quick Play mode. 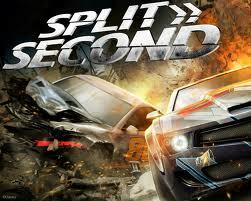 car will be available in Quick Play and Split-Screen modes. Elite S510 - Complete Episode 6. Elite GT12 - Win all twelve Elite races in first place. Ryback Firestorm - Win every event in first place. In a race event, wreck all seven of your rivals with a powerplay. For a few seconds you will be the only car in the lap. Complete the indicated task to unlock the corresponding decal. 3/48: Survivor: Complete round six of the Season Championship. 4/48: Made The Podium: Complete the Season Championship. 5/48: Season Champion: Complete the Season Championship in first place. 8/48: Moving Ahead: Win 6 Bonus Rounds. by being in 1st place at each elimination. from last place and certain elimination. ship sideways across the track. 28/48: Heavyweight: Wreck 1000 rivals with Power Plays. Waves in a row in either an Air Strike or Air Revenge event. 45/48: Giant Killer: Beat an opponent with an online form of 10 or better. 47/48: Have We Met Before? : Awarded to players that have played PURE. 48/48: Completionist: Awarded to players who have unlocked every Decal.